Graduated from Business Administration, Universitas Indonesia. My various organizational experiences illustrated a great enthusiastic in finance, public relation and human development. Good skills in communication, interpersonal, teamwork. Active and curious to learn various new things. Open minded, like to think critically and adapt well in any situations. Able to work and act under pressure and harsh condition. Academically, I learned about how to manage business in human development, marketing and also finance. To sharpen and specialized the knowledge I took finance concentration and I made a thesis with the tittle Analysis Determinant of Indonesian Foreign Direct Investment in 2004-2014 Period and I finished my study with 3.6 GPA. In non academic, I also developing my skills in the fields of networking, public speaking, marketing, effective problem solving, interpersonal skill, public relation, and finance by active in several organizations and faculty student's projects. Majored in social science, I have great result in economic and math. In the non-academic activities I also active in an organization (Media Siswa) and several school events. Beside that, I also active in Saman Traditional Dance extracurricular. Top 15 in enrollment year. Always selected to join in the best class. In my non-academic activities is also active as a student council and also basketball extracurricular. Listening and writing things and processes of the discussion, writing down the conclusions and results, and also documented the record of the discussion for two days APEC's meeting about Indonesia-South Korea corporation in research and technology for climate change. Responsible to enter the data of the costumer, data collection, data analysis and also produce recommendation to help the agents for making an insurance kit (insurance planning) to consumer, and also help the administrator to archive documents. Responsible for managing the program while it’s running, consultant for student and parents. Injecting positive spirit for student to entering the best national university in Indonesia. The percentage of the students enrolled in prominent state universities is at average 75% from total students. In addition, responsible also for administrative matter in BTA45. Do management aspect like help to assort all of inventory books of Taman Bacaan Masyarakat Jendela Dunia to make it easier to find and read, etc. Also campaigning reading culture to the children around and also donate my preloved books that worth reading. This program is one day program in Cilincing suburb community to do community service in form of recycling the used paper and teach in fisherman community in Cilincing. Before the event, we have a team to fund some money to support donation for Cilincing community with entrepreneurship way. At the day, we also have the opportunities to teach Cilincing's students. This program also supported by NGO Hope. Do activities for better understanding and good relations that use media in order to achieve maximum publicity and impartial organization. Forms of media that being used is social media, communication boards (wall magazine), bulletins, websites and others with the aim that the information received well by Administration UI's people. Raised funds for the organization's activities in the creative and innovative ways. 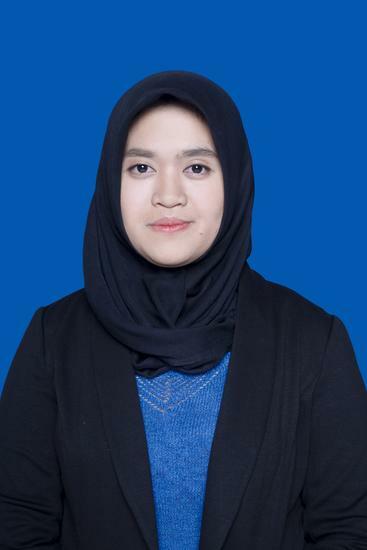 Sponsorship coordinator of FISIPKLOPEDI/FISIP UI's Pocket Book (2013) for more than 1000 new students. Ticketing coordinator of Get Ready For FISIP UI Try Out 2013 with achievement more than 5000 ticket sold in Jabodetabek and Bandung. Responsible for activities of journalistic, such as school's bulletin, wall magazine, photography, films and others. Production coordinator of the Gema Cinta Smandel Yearbook for the senior class of 2011. Traveled to several European Countries and cities in Indonesia. Exposed to various socioeconomic of societies. Fascinated with multi cultures and multi ethnic. Love to enjoyed the beauty of nature. Went to several live concert with internal peer. Listening to various types of music such as jazz, pop, soul, and r&b music.